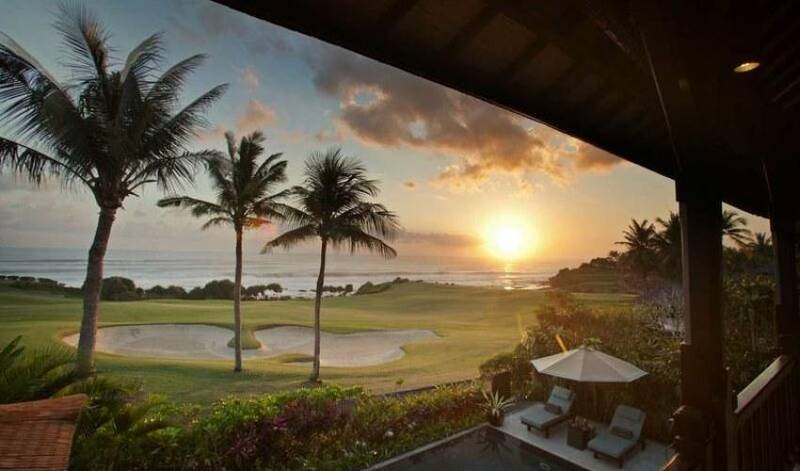 Tanah Lot Villa 3457 oceanside, offers the comforts and amenities of a 5-star hotel but in the private setting of a spacious luxury villa. 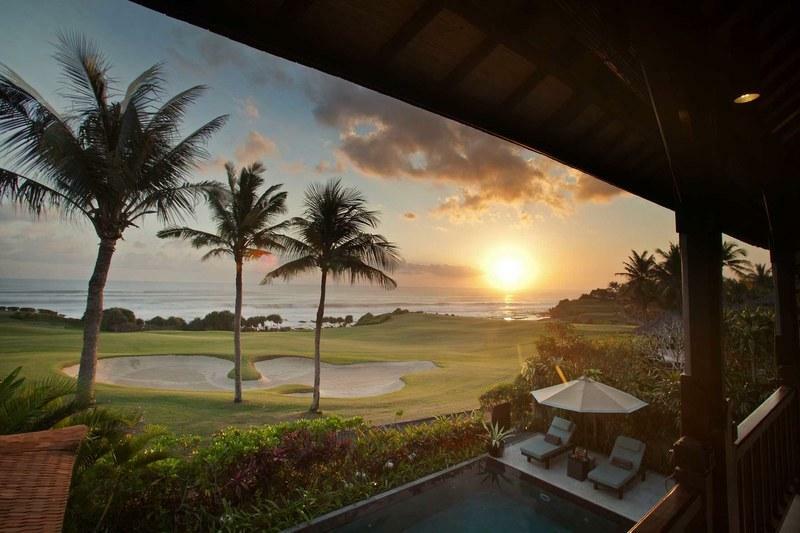 Situated within the grounds of the exclusive Nirwana golf resort, the villa commands expansive views of the Indian Ocean and uninterrupted enjoyment of exquisite sunsets. 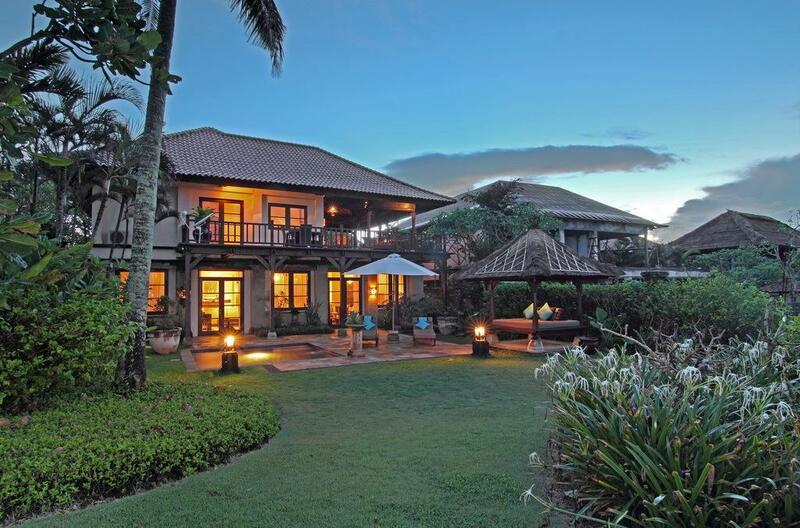 Completely refurbished in 2011, the villa has been designed to create an elegant tropical environment in which every need is anticipated and every comfort provided. The beautiful upstairs open walled pavilion is stunning - large enough to provide both seating and dining areas. 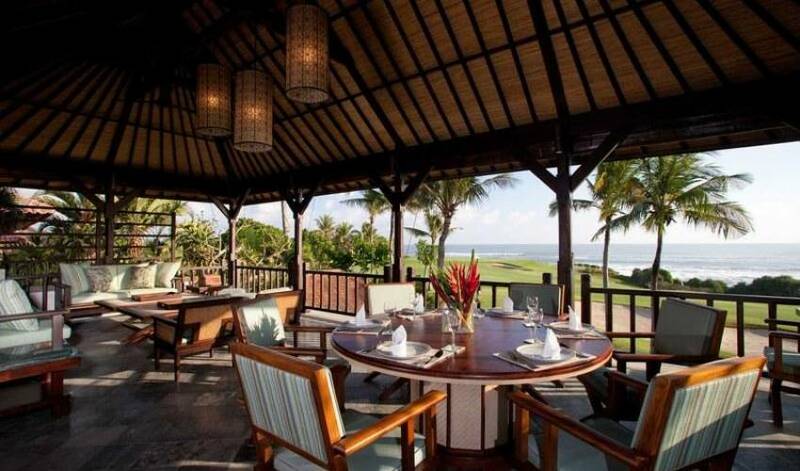 The views from the pavilion of the crashing surf of the Indian ocean are breathtaking and cocktails can be enjoyed while watching the sun dip below the horizon and the sky flood with the colours of a tropical sunset. 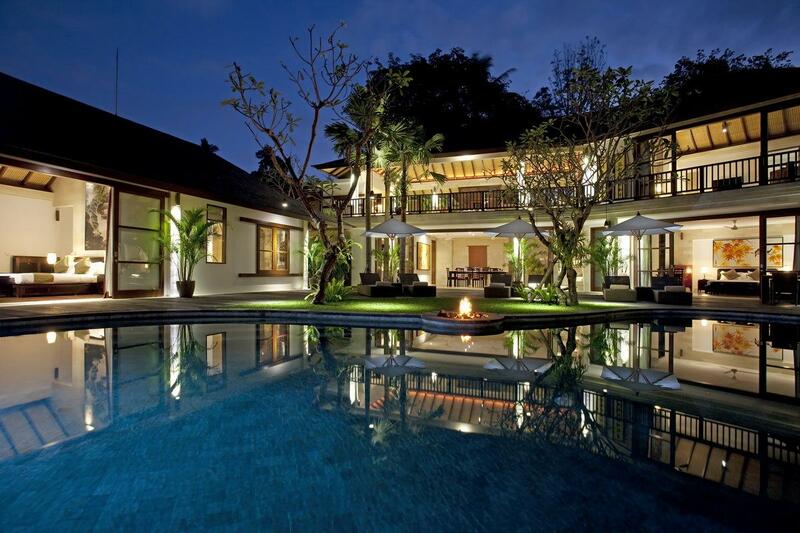 The dedicated staff of this villa will gladly attend to your every need and ensure you receive nothing but the best of gracious Balinese hospitality. 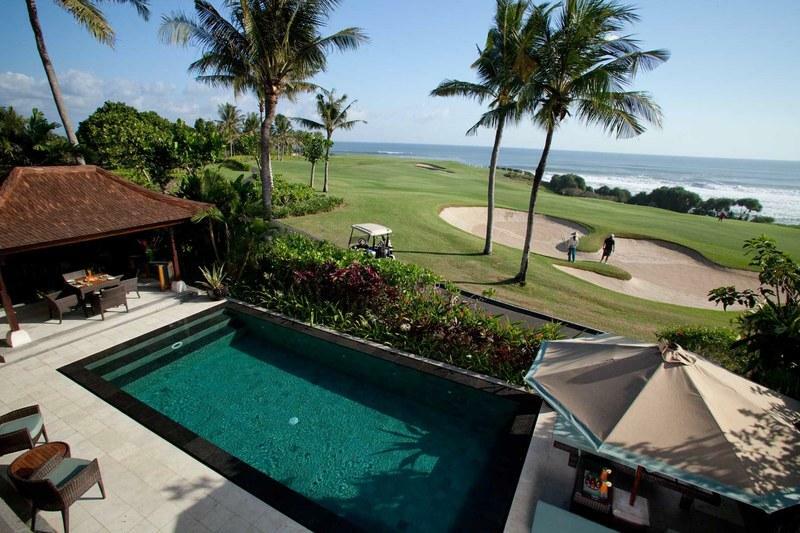 The villa is located within a private area of the Pan Pacific Bali Resort, home to the prestigious and award winning Bali Nirwana golf course. 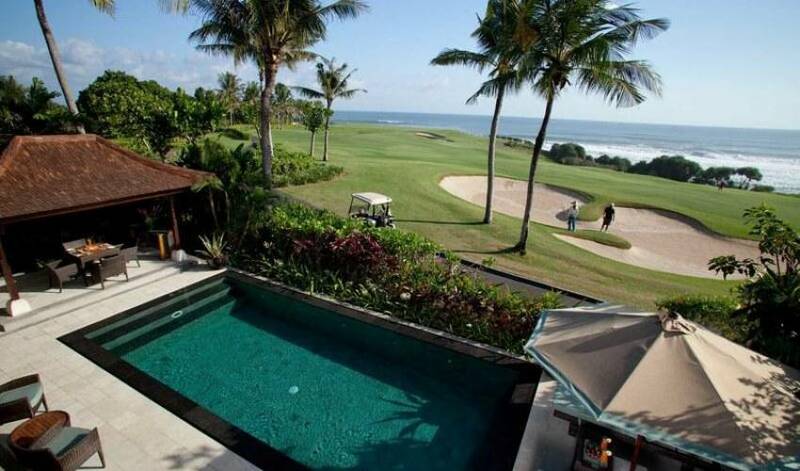 The villa is just a short golf buggy ride from the Clubhouse and a short walk from the swimming pools, restaurants, bars, tennis courts, gym, spa and beauty parlour of the Pan Pacific hotel. 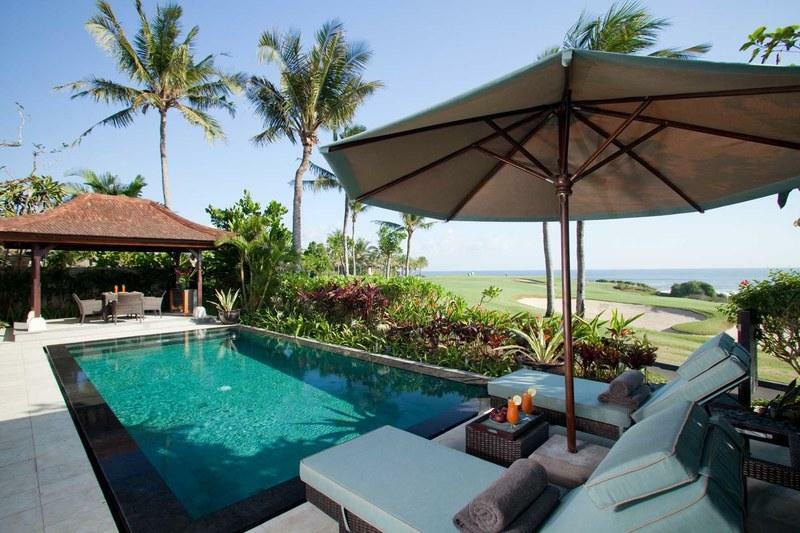 The villa provides a relaxed yet luxurious holiday environment with the layout, décor and landscaping designed by the Bali based designer, Lloyd Hasencahl. Beautifully crafted bespoke furniture sits within his light and spacious interiors. 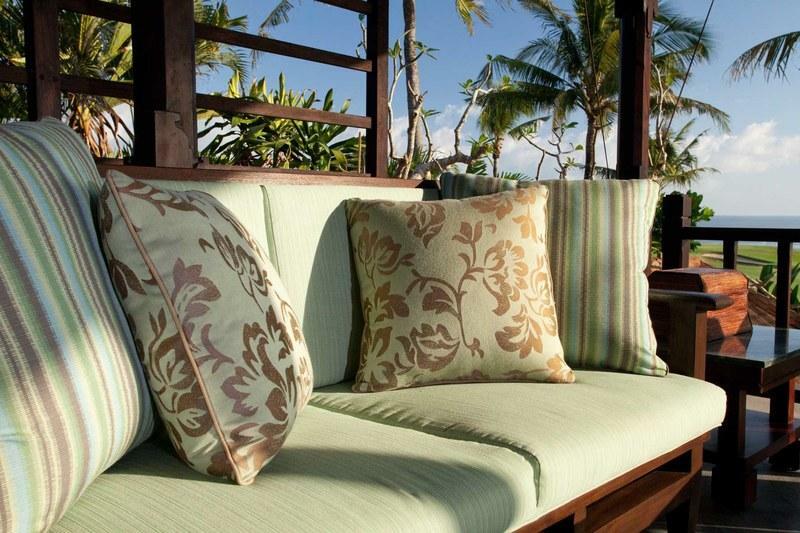 Colours have been carefully selected to reflect and compliment the blues and greys of the ocean and sky and the greens of the golf course and surrounding tropical garden. 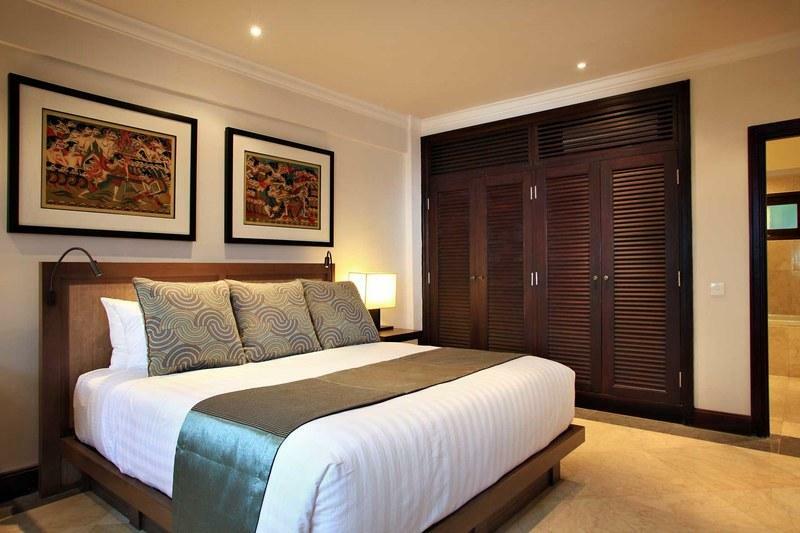 All three bedroom suites in the villa are generous in scale and have en suite marble bathrooms. 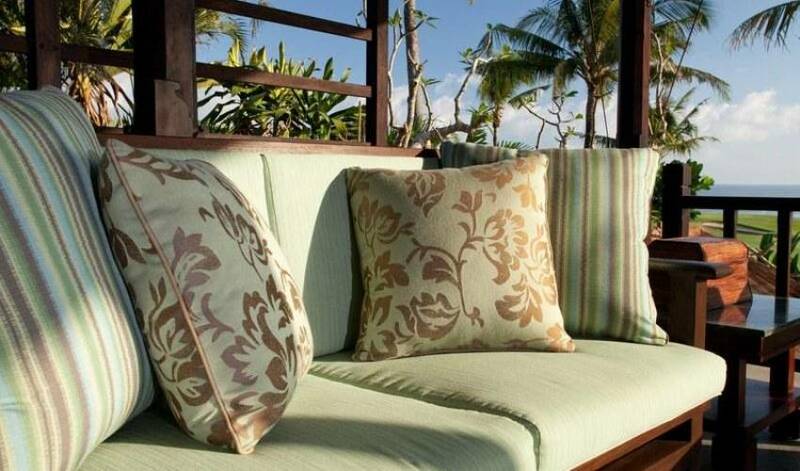 The two upstairs bedrooms are light-filled and have picture window views of the ocean waves. The master bedroom on the ground floor features a romantic oversized canopy bed and bespoke cantilevered L shape lounging sofa - a perfect private and intimate space for watching a movie or relaxing. The master bathroom with double vanities features a stunning floating bathtub-for-two set against a translucent alabaster stone wall which becomes backlit at night. Sliding patio doors of the master bedroom open onto the pool area with the infinity edged pool tiled in natural slate which compliments the blue hues of the adjacent ocean. 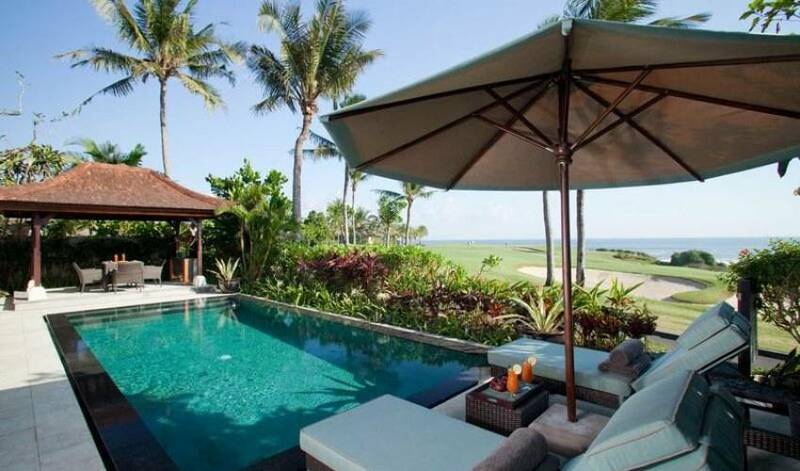 A late morning breakfast, casual lunch or evening cocktails can be enjoyed in the poolside cabana while sun loungers and pool towels are provided for those wanting to relax by the pool. 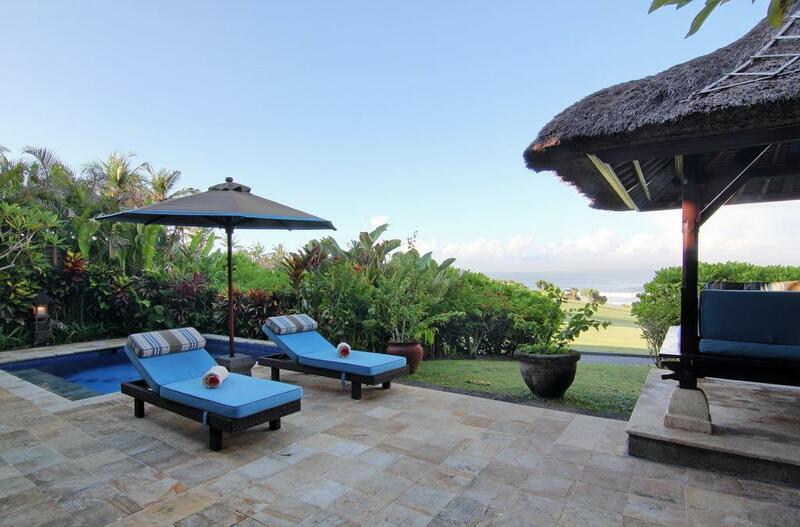 The villa has a massage table which can be set up alongside the pool or in any of the bedrooms and villa staff can arrange for a trainedmasseuse to come and give guests a deeply relaxing Balinese massage. 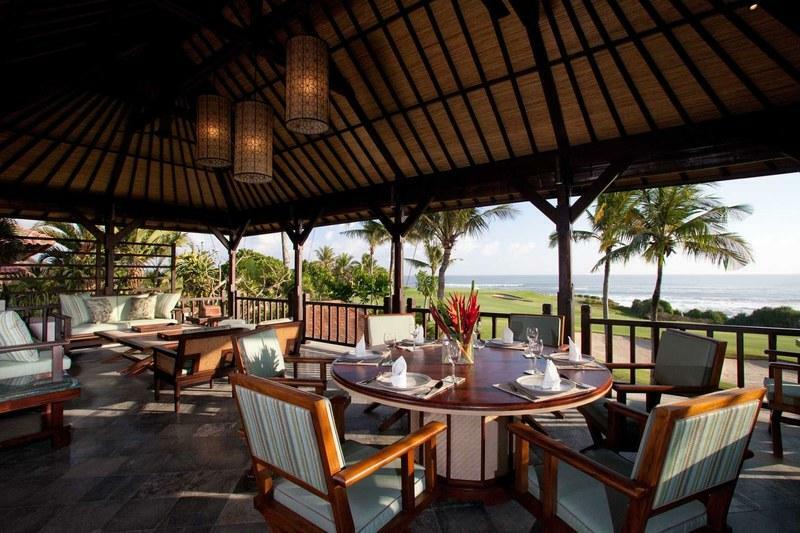 The villa staff are trained to prepare Western and Indonesian dishes at your request and they can take care of the grocery shopping on your behalf to ensure you have the freshest of produce. The villa menu will be sent to you in advance of your stay and the villa’s staff will be more than happy to try to accommodate any special culinary requests. 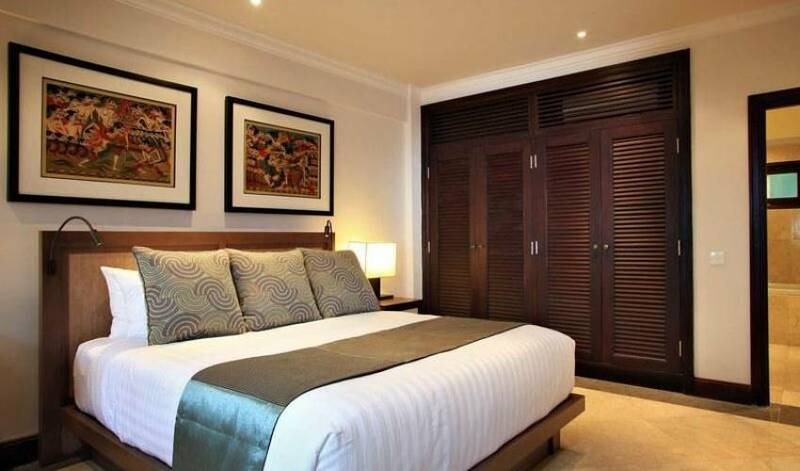 Here you will enjoy a relaxed and refreshing holiday. 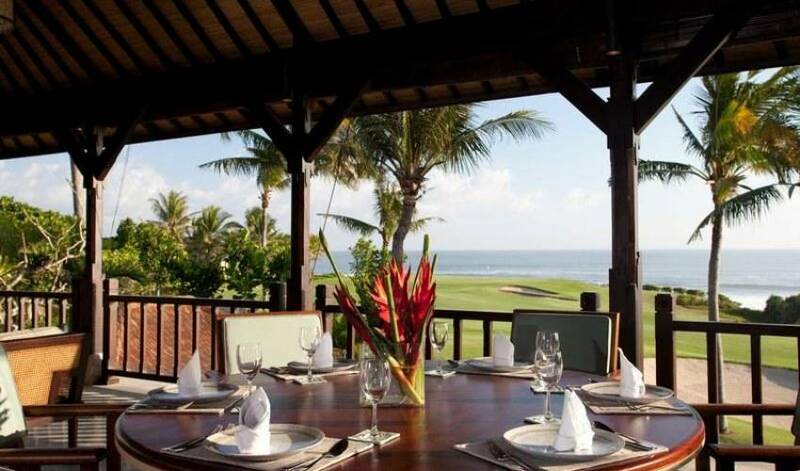 For golf lovers the award winning course will provide tremendous enjoyment while the resort’s pools and other leisure facilities will provide plenty of entertainment for others. At the villa you will be an honoured guest and the ever attentive staff will strive to ensure your stay becomes a treasured memory. 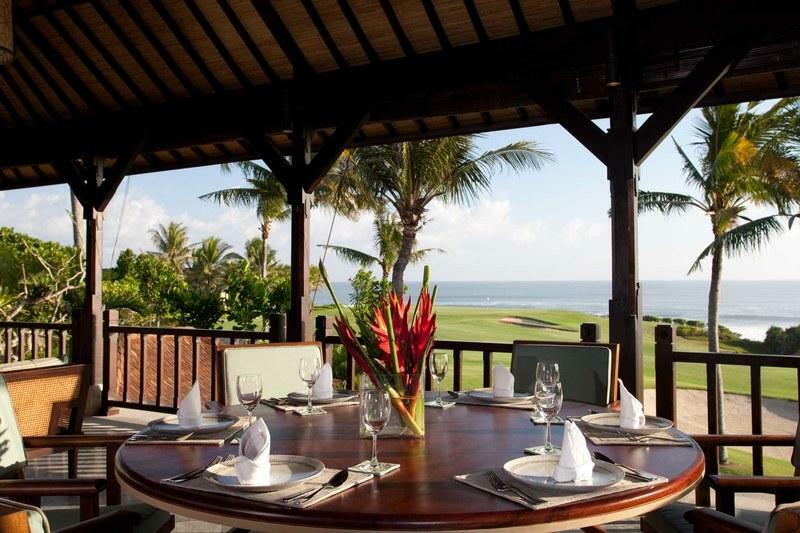 Daily offerings to the Hindu Gods will be prepared and placed around the villa as a blessing by the Balinese. Silent prayers will be made wishing you love, peace and happiness - just one more reason why the Villa is a beautiful place.